Yahusha was in the grave for 3 days and 3 nights, as Yunah (aka Jonah, meaning "dove") was in the belly of the great fish. We know He was in the tomb on Abib 15, 16, and 17. The traditional interpretation among orthodox rabbis is that First-fruits the wave-sheaf offering is observed consistently on Abib 16, the "morrow after the Shabath." They are not thinking of the weekly Shabath here, but rather the annual day of resting on the first day of Matsah, the 15th day of the first moon. If this is correct, and Yahusha did not present Himself as the wave-offering on Abib 16, then that would mean His resurrection is in no way any reflection of the First-fruits wave offering. But we know He is the First-fruits, and perfected (fulfilled) the prophetic shadow when He presented Himself after He spoke with Miryam on the first day of the week (the morrow after the Shabath). First-fruits is directly connected to resurrection. The sign of Yunah is the sign Yahusha gave that He would be in the grave between Passover and First-fruits. These two things were foreshadowed in the redemptive feasts, and infused with the understanding of the sign of Yunah, we have affirmation that Yahusha is Mashiak. 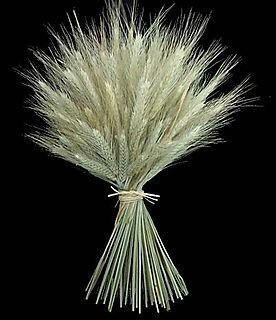 The Wave-Sheaf (omer) is First-Fruits, and is a shadow of Yahusha's resurrection. The barley sheaf represents Yahusha’s resurrected body. After it was cut down, His body began to move again (wave). Yahusha is the wave-offering, and ascended into the Throne room of the Ancient of Days to present Himself as First-fruits. The day of His resurrection, He would not allow Miryam to touch Him because He had not yet ascended to present Himself; and this happened well beyond Abib 16 that particular week. When Yahusha was placed into the tomb, the 15th of the moon fell on what is today called a Woden’s-day just before sunset, and Thor’s day of that week was the annual High Shabath. The sign of Yunah becomes a prominent feature between Passover and First-fruits. 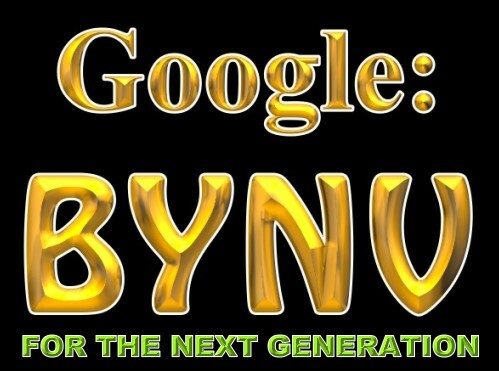 The Pharisees who don’t believe in Yahusha don’t have this sign of Yunah, so they err in reckoning the starting point. After 3 nights and 3 days, at the close of the weekly Shabath, He rose from the dead. The morrow (1st day of the week) after the Shabath He presented Himself before Yahuah as the Wave-Sheaf (First-Fruits) offering, fulfilled by His resurrection because His body was the fulfillment represented by the Wave Sheaf. If First-Fruits is not determined by counting from the weekly Shabath, and First-Fruits is always observed on Abib 16, then Yahusha missed it and did not present Himself as the First-born (First-Fruits) from the dead at the correct time, and the sign of Yunah (3 days and 3 nights) failed as the sign He offered that He is the Mashiak. Yahusha was in the tomb on Abib 16 during Matsah, and did not wave Himself until 3 nights and 3 days after His death and burial. The reason the Orthodox err in their setting the observance of First-Fruits is that they don’t have a clue that it is a shadow-picture of Yahusha’s resurrection. Sadly, many Natsarim teachers are misinformed about this also, and they are following the pattern of those who do not believe Yahusha is the Mashiak of YYisharal. When the 15th of Abib coincides with a weekly Shabath, it’s fine to begin the count of the omer (49 days + 1 to Shabuoth) from the 16th of Abib. Seven “complete (H8549) weeks” refers to the real week, not just a bundle of any seven days; the week is “undefiled”. NOTE: Lev. 23:15: H8549 TAMIYM: true, full, undefiled, entire. BYNV Uyiqara / Leviticus 23:15-16: "And from the morrow after the Shabath, from the yom that you brought the sheaf of the wave offering, you shall count for yourselves: seven complete Shabaths. Until the morrow after the seventh Shabath you count fifty Yomim, then you shall bring a new grain offering to Yahuah." THE SCRIPTURES: Leviticus / Uyiqra 23:15, 16 -- "AND FROM THE MORROW AFTER THE Shabath, FROM THE DAY THAT YOU BROUGHT THE SHEAF OF THE WAVE OFFERING, YOU SHALL COUNT FOR YOURSELVES: SEVEN COMPLETED SHABATHS. UNTIL THE MORROW AFTER THE SEVENTH SHABATH YOU COUNT FIFTY DAYS, THEN YOU SHALL BRING A NEW GRAIN OFFERING TO YAHUAH." RESTORATION SCRIPTURES BY M. KONIUCHOWSKY: Leviticus / Wayyiqra 23:15, 16 -- "AND YOU SHALL COUNT FROM THE NEXT DAY AFTER THE SHABBAT, FROM THE DAY THAT YOU BROUGHT THE SHEAF OF THE WAVE OFFERING; SEVEN FULL WEEKS: UNTIL THE NEXT DAY AFTER THE LAST WEEK SHALL YOU NUMBER FIFTY DAYS, AND YOU SHALL OFFER A NEW GRAIN OFFERING TO YHWH." Abib 16, or the 2nd day of Matsah, is the time that the Kohen Gadol waved the sheaf/omer of grain (First-fruits offering). When did Yahusha ascend to Abba to do this? Not Abib 16, as Rabbinical Judaism teaches is the time of the Wave Sheaf Offering. We see that Yahusha became our Wave Sheaf Offering, and would not allow Miryam of Migdal to touch Him, because He had not yet performed this (Yn. 20:17). Yahusha did it on the first day of the week, and it was not on Abib 16. His resurrection represented the wave-sheaf offering. Later that same day, He allowed His talmidim to touch Him (Yn. 20:27). Yahusha is the sheaf of First-fruits, and could not "wave" Himself before Yahuah until He resurrected. His resurrection was at the end of the weekly Shabbat. Then on the first day of the week, the "morrow after the Shabath," He performed the wave-offering Himself. 50 days later, another "morrow after the seventh Shabbat," comes Shabuoth, often called Pentecost (count-fifty). On Abib 16, or the 2nd day of Matsah, our Kohen Gadol was in the Earth, fulfilling the sign of Yunah. It's incredible to see how Yahusha timed His last meal, 3 days and 3 nights in the tomb, then resurrected to become the wave offering Himself on the "morrow after the Shabath." Yahusha is our first-fruits omer/sheaf offering. SHEBA SHABATHOTH TAMIMOTH (seven Shabaths complete/intact) at Uyiqara (Lev.) 23:15 is rendered "seven complete Shabaths" in its literal form by many, and others follow the idea of "seven complete weeks." If these "weeks" were truly intact weeks of day 1 through day 7, then there is no difference in the outcome. As you know, Rabbinical Judaism's interpretation allows for "weeks" to represent any 7-day grouping, so the day of Shabuoth can "float," and occur on any day of the week. With this interpretation, they have to overlook the literal words "HAShabath HASHABIYOTH" (seventh Shabath) at 23:16. While we can make some compromises with how to bring some words over to our English, it's a huge stretch to make the word "HASHABATH" to mean "week" (23:16). Yahuah stated it two ways so that this special anniversary of Yisharal's marriage to Him would have a self-checking test. The day after the seventh Shabath will always fall on the 1st day of the week. I've always seen this as a miniature form of Jubilees, 49 (7x7) years + 1 making a total of 50 years, as Shabuoth counts up to the 50th day, after 7 intact weeks. This also makes the Sabbatical years a type of reflection of the intact week of 7 "days." 23:15: The text in the original Hebrew gives us simple directions, however some translate the words in such a way that two possible interpretations can be made. Are we to believe the text means SEVEN WEEKS or seven Shabaths complete? Yahuah uses the words sheba (seven) Shabathoth (Shabaths) tamimoth (finished, intact) at 23:15. These 7 Shabaths are literally a whole "week" of fully-intact Shabaths, and they are "complete" or "intact" because they are made up of THE seven days, and there are seven of them. The word "Shabathoth" is written as shin-beth-tau-waw-tau (Shabathoth, in contrast to shin-beth-ayin-waw-tau (shabuoth). 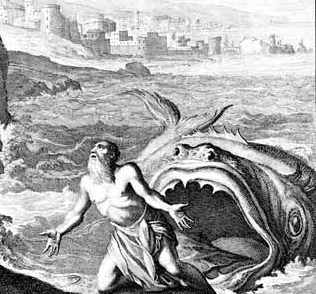 If it really means seven full weeks, the Scripture would have used the word "shabuoth", not "Shabathoth" (compare Daniel 9:25). The idea of "complete" or "full" really means: thorough / closed / fully concluded, finished, intact. The Hebrew word for "complete" or "full" here is TAMIM + oth (pluralized) and means intact, perfect, without defect, entire, FINISHED, come to an end. 23:16: This can cause confusion, but the greatest difference in our interpretation is in verse 16, where it should read "up to the day after the seventh Shabath". "Seventh Shabath" is the literal translation of the Hebrew words haShabath haShebiyoth. "Shebiyoth" is the ordinal number seventh, the root being sheba, meaning seven (which also means "perfect" or "complete"). "HaShabath" is literally "the Shabath", not "week." I'll say it again for emphasis: "HaShabath" is spelled hay-shin-beth-tau, and means "the Shabath," not "week." "up to the day after the seventh Shabath you count fifty days." In other words, you'll find that you've counted fifty days when you've counted up to the day AFTER the seventh Shabath, because 7 x 7 = 49 (seven complete or "intact" weeks of Shabathoth). The fiftieth day will be the appointed time, or moed, which falls the day after the seventh Shabath (haShabath haShebiyoth). So, in our interpretation it will always fall on the 1st day of the week. Not knowing what the week is makes it very difficult for people - Yisharal (Israel) had this problem too. Yahuah's week is always THE week, not any group of seven days starting at some arbitrary point. If we pull a starting-point out of our hat, we stand a chance to be out-of-synch. The week of days was being remembered by the nation of Yisharal after their captivity for 430 years, and the manna conditioned them to the correct pattern. This is why Yahuah used the word tamimoth as this removes all doubt that He emphatically meant THE Shabath that "concluded intact" each week of the seven days. The real key to understanding this concept largely rests on this word, tamimoth, and the context it is used in. It means intact because the week of Shabaths is intact. It's literally a whole week (shabua) of Shabaths, thus they are complete. If we don’t know what the original words are and take the translator’s at face value, we could be observing the moedim (festival days of Yahuah) at different times, and not walk in unity. At Daniel 9:25, the translators often correctly write "seven sevens" from the Hebrew words SHABUA SHABUIM, and these refer to seven "weeks" (sevens) of years. So, here we have a comparison to look at for distinctions in the words - but one must see the original Hebrew to make these distinctions. We must PROVE (test) all things we walk in from Scripture. What if Yahuah made several things purposely to be able to be seen in two different ways, then sat back to see which individuals would be hateful and judgmental toward the other view? When Yahusha returns, He will set everything right again. We'll know when the Sabbatical years are, and when the Jubilee year is. We'll know whether the Rosh Chodesh is a "dark moon" or a "sliver - sighted" moon. Suppose that a person was correct about every detail, and interpreted everything flawlessly according to the intentions of Yahuah - yet they were severe, mean and unloving to others who also did their best to observe Yahuah's Torah and held to the Testimony of Yahusha. I'm convinced that the one who loves is the one that has learned what Torah is established to accomplish. The one who cannot accept, but hates his brother because he expects perfection, may be in greatest danger of losing the race. On some fine points, there will always be differences. The Kohlenberger Hebrew-English Interlinear is inconsistent in how they bring many words into our English. shin-beth-tau-uau-tau they also render as "weeks" while other translators render it "Shabaths." Torah Institute is only one small glimpse into part of what Yahusha is doing in these last days prior to His coming. His workers all around the Earth are encouraging people to remember the Torah given to all people through His servant, Mosheh. This Torah, given at Sinai, was a marriage covenant that shook the world on it’s foundations. Teaching these “Ten Words” is the best way to prepare for Yahusha’s return, and to be watchful, praying each day that He come. We are deep into restoration mode, since that is a sign Yahusha is near to returning (Acts 3:21). CHRISTIAN ~ IS THIS WORD A GOOD LABEL, CONSIDERING IT HAD A PREVIOUSLY PAGAN USAGE?